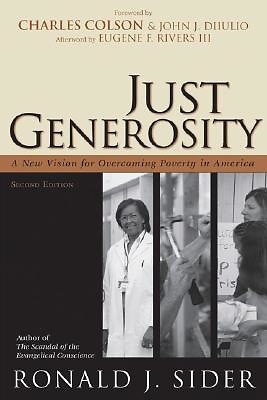 Just Generosity calls Christians to examine their priorities and their pocketbooks in the face of a scandalous tendency to overlook those among us who suffer while we live in practical opulence. This holistic approach to helping the poor goes far beyond donating clothes or money, envisioning a world in which faith-based groups work with businesses, the media, and the government to help end poverty in the world's richest nation. This updated edition includes current statistics, policy recommendations, and discussions covering everything from welfare reform, changes to Medicade, and the Social Security debate.